So here at #YABluewater we will be picking an Author of the Month, every month. We will try and bring you reviews of their books, an interview where we can and other posts with or about the featured author. This months AOTM is Zoe Marriott. You can find an interview with Zoe here, from one of our earlier posts. This post was written by Emma, she is a fellow Bookseller here at the Bluewater Waterstones store, and she LOVES YA fiction! Here she writes about why she loves Zoe's work. I settled down in bed exhausted after a long day, half heartedly thinking I would read the first couple of pages of ‘Shadows on the Moon’ as I had promised a friend I would. It wasn’t until four hours later that I managed to drag my eyes from the woefully dwindling pages. 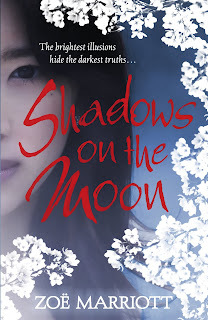 Not only does this tale have an exhilarating and gripping story, it is also powerfully atmospheric and enchanting, drawing you into the book to such a degree that I half expected to see Suzume looking back at me from the mirror. The main character Suzume herself is brilliantly constructed, a strong willed, realistically flawed character; think Cinderella plagued by guilt, a tragic past and motivated by revenge. 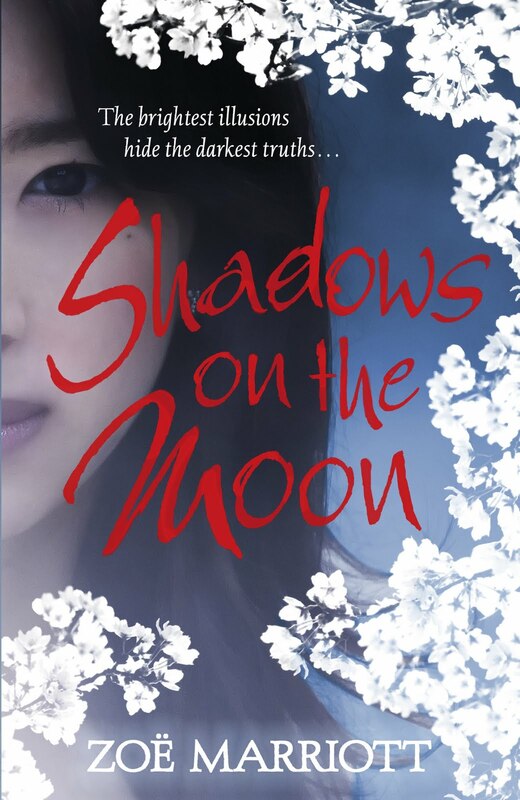 As if that isn’t enough for a teenage girl to deal with, throughout Suzume is faced with discovering herself and her emerging shadow weaving ability which allows her to manipulate and weave shadows to create illusions. If you haven’t realised I am a huge fan of this book although it’s hard to recount the magic without ruining the amazing twists and turns that crop up in the most unexpected of movements. The grace of Zoe Marriott’s writing grips you almost immediately, sucking you into this cross between age old fairy tales and exciting new worlds. Upon finishing this book I ran for the nearest bookshop (not hard since I work in one) to buy the rest of her novels. ‘Swan Kingdom’ the debut novel of this author was just as amazing, despite the fact that it is based on a fairy tale that I know well, it was transformed into something new and thrilling. 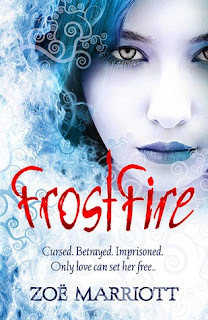 Zoe Marriott’s latest book ‘Frostfire’ is another stunner! Set in the same world as ‘Daughter of the Flames’ (which I highly recommend reading first), yet again I was completely captivated and enthralled. The characters were humanly imperfect, strong and complex and my heart leapt and broke with theirs throughout their burdensome trials and tribulations, demonstrating truly beautiful writing. There are few authors that I praise so ridiculously much as this, and the greatest compliment I can give is that if I could have any authors talent Zoe would definitely be one of my first choices, she weaves words much like Suzume weaves shadows. The only problem I have with these books; which continues to irk me, is that not enough people have opened the cover, because after page one you are hooked. I highly recommend lovers of fantasy or young adult fiction to run to the shop and pick up this authors work it is thoroughly worth it. It is for all of the above reasons that Zoe Marriott has been named Waterstones Bluewater’s teen author of the month!